Responsible for bilateral relations with the CIS, affairs of compatriots abroad, cooperation with chambers of the Federal Assembly and social organizations, including on law-drafting activity of the MFA. In 1971 graduated from the Institute of Oriental Languages at the Lomonosov Moscow State University. He has been working in the Ministry of Foreign Affairs of Russia since 1972 and held various diplomatic posts in the central office of the MFA and abroad. (Senegal, Australia, Great Britain). 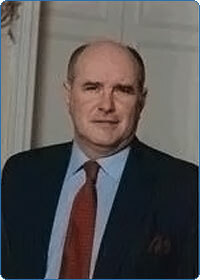 1992-1993 – Head of Directorate, Middle East and North Africa Department of the MFA of Russia. 1993-1996 - Director, Information and Press Department of the MFA of Russia. 1996-2000 - Deputy Minister of Foreign Affairs of the Russian Federation. 2000-2005 – Ambassador of the Russian Federation to the United Kingdom of Great Britain and Northern Ireland. Since June 2005 he is Deputy Minister of Foreign Affairs of the Russian Federation. In October 2005 was appointed State Secretary, Deputy Minister of Foreign Affairs of the Russian Federation. Diplomatic rank – Ambassador Extraordinary and Plenipotentiary.